Misfit has teamed up with Ekocycle to create a new line of Misfit Shine accessories, with a clear masculine slant. Ekocycle is an initiative set up by Coca-Cola and Will.i.am to make accessories from recycled and sustainable materials. The new 'field bands' come in black, red and grey, and are made from a single 20oz recycled plastic bottle, and are chunkier than any Misfit accessories we've seen so far. The bands cost $50 and the combo pack with a swish-looking black Misfit Shine costs $149. Misfit has been leading the way in terms of partnerships for its Shine fitness tracker, with Swarovski and Victoria's Secret deals already in the bag, and it's own jewellery lineup. However, most of its efforts to style-up its trackers have been focused on women. The Ekocycle partnership certainly boosts its appeal to men, however, we're more interested in the tri-striped version pictured above – and have contacted Misfit for more information. 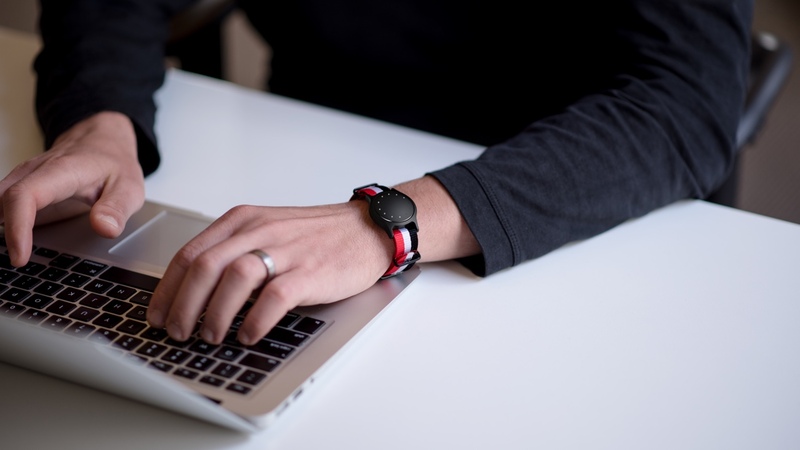 In other Misfit news, the company has revealed that it will launch a web portal called my.misfit.com for users to see their fitness data and manage devices online, and IFTTT integration for the Misfit Flash.